MAT2– the Michigan Advanced Technician Training Program – is an innovative, industry-driven approach to education. Developed in conjunction with global industry technology leaders to combine theory, practice and work to train a globally competitive workforce, MAT² addresses two critical issues facing the manufacturing and technology industries: a widening skills gap and an aging workforce. 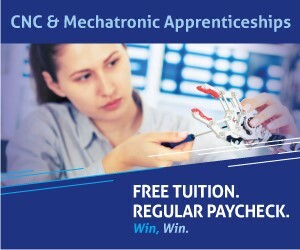 This is an apprenticeship program where students alternate between classroom instruction and on-the-job training, gaining the necessary hands-on skills and real-world experiences for them to become a successful and productive member of the skilled workforce.